Dubfire released a new documentary named Above Ground Level . - Track? !D. Home » documentary » Dubfire » Slider » Updates » Video » Dubfire released a new documentary named Above Ground Level . Dubfire released a new documentary named Above Ground Level . The new Dubfire's documentary film called Above Ground Level is out. The 77-minute film includes interviews of Richie Hawtin, Pete Tong,Loco Dice, Sven Vath, Seth Troxler & more. As one-half of the Grammy award-winning duo “Deep Dish”, Iranian-American Ali Shirazinia (aka‘Dubfire’) has established himself as one of the world’s most successful DJs and producers. But the road to success was not an easy one. Ali’s story begins in Iran where his happy childhood took an abrupt detour when the country was thrown into turmoil by the 1979 Iranian Revolution and subsequent Iran-Iraq War. 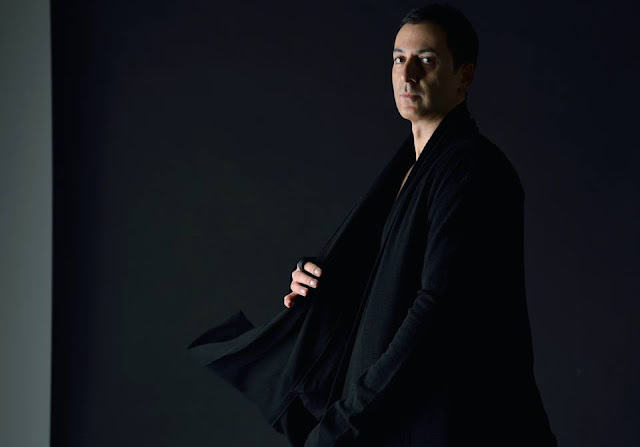 His family left Iran soon after the Revolution, relocating to the United States where Dubfire acclimated to his new country and soon found a passion in music. We follow the genesis of Ali’s musical career from performing in local clubs in Washington, D.C to later becoming one of the most influential music producers and DJs working today. With candid interviews from family, childhood friends, industry peers, and fellow artists, this film takes an intimate and honest look inside the nuanced world of dance music. This is an aspirational story about pursuing your passion, daring to dream big, and the challenges that come with success. It is an insider’s look at what its like to be an electronic music artist from Above Ground Level.